Fun in Melbourne, Ballarat, Waurn Ponds and Torquay! 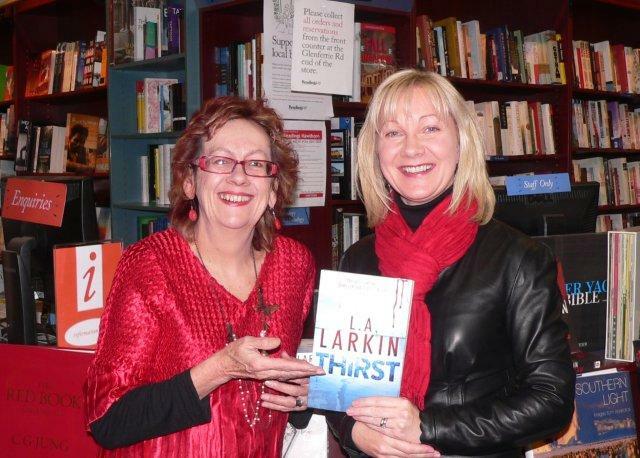 Last week the THIRST road show well and truly took off in Melbourne and nearby towns, thanks to the wonderful support of Sisters In Crime, especially Carmel Shute and Lindy Cameron. I couldn’t have done it without their amazing support. It was such a great feeling talking about thrillers with another thriller enthusiast, author and publisher Lindy Cameron. It dawned on us that, in fact, we are a rare breed of female action thriller author – very rare indeed in this country. 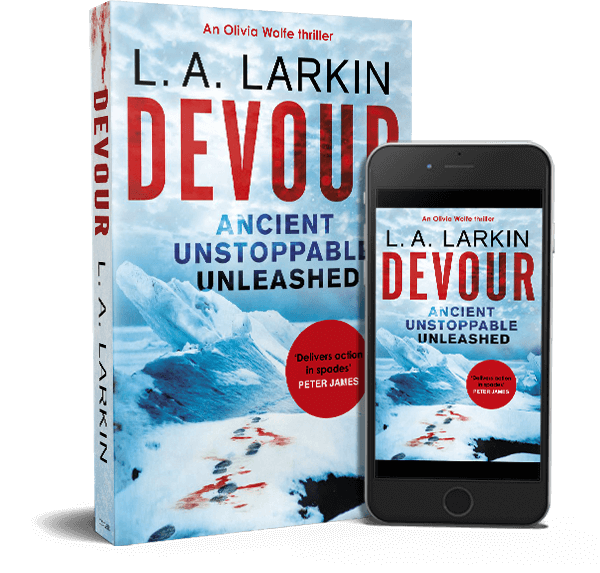 Carmel Shute interviewed me at Readings Hawthorn and then a group of us went for dinner afterwards, including Ann Creber from 3MDR and thriller author P.D. Martin. David McLean from radio 3CR interviewed me live and he even read out some lines from THIRST. He was so enthusiastic and I am very grateful that he invited me into his studio. Me, author and publisher Lindy Cameron of Clan Destine Press with bookseller Debbie Bodinnar at our Waurn Ponds Library (Geelong Libraries) talk on thriller writing. Thank you to all the awesome library staff and to the fantastic Geelong audience! Just some of the lovely crowd at Bookcellars bookshop, Torquay, enjoying coffee and cakes as Lindy and I talk about thriller writing. Thanks for joining us! It was a pleasure meeting you all.